There's nothing like a delicious cup or cone of house-made ice cream! The Virginia Beach oceanfront is getting another ice cream shop -- only this time, it will be different! 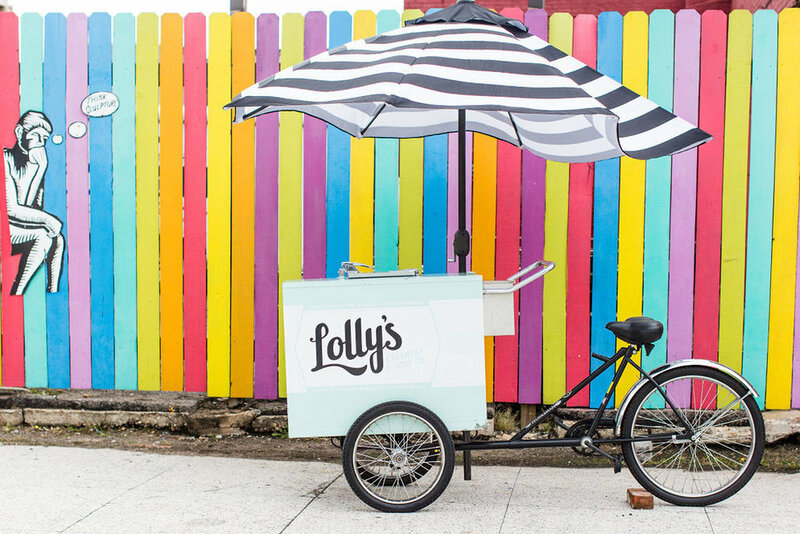 On May 3, Lolly's Creamery will be opening an old-time ice cream shop off of 17th Street in Virginia Beach. But you're not going to want to miss the grand opening party, May 3-5, where you can get a raffle ticket for a chance to win a lifetime of ice cream. Currently, owners Joey and Dom Launi base Lolly's Creamery and Soup Shop out of a warehouse at 4966 Euclid St. in Virginia Beach, but sell their products via bicycle, all around Hampton Roads. Their goal for the new shop is to build a legacy by establishing a permanent, memorable home for their ice cream, as well as their house-made cones and waffle cones! "The word that keeps coming to my mind is nostalgic, and iconic -- in the way that Doumar’s is iconic," Joey Launi told The Virginian Pilot. "I want that sort of small town, timeless feeling. Where Doumar’s has become famous for the ice cream cones, I’d love for Lolly's to become famous for their homemade ice cream." Delicious ice cream, of course! 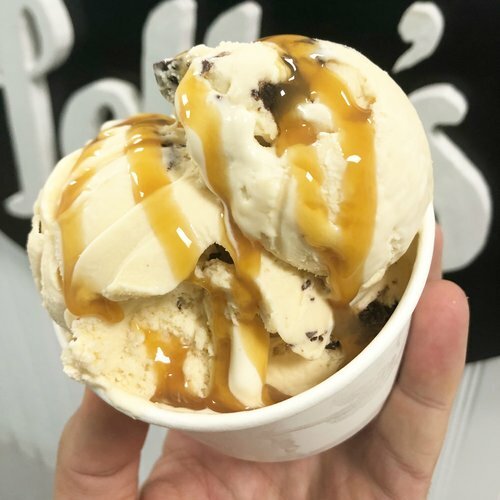 Lolly's Ice Cream is known for their impossibly rich flavors with 14 percent butterfat, as well as ingredients sourced from Amish farmers in Pennslyvania -- fresh ingredients, fresh taste! In order to start their brick-and-mortar old-timey shop, the Launi family has already raised $21,741 via a Kickstarter campaign, pulling more than $17,000 from a Kickstarter Crowdfunding Festival where they handed out rewards like ice cream, ice cream cakes, and tickets to a VIP party. Donations toward their opening are still being accepted through Sunday, May 24, so head on over to their website to donate a package of your choice, anywhere from $10 (I'm in) to $2,500 (Ultimate Sponsor). In the meantime, you can schedule a home delivery of their ice cream so you can get a taste of what to expect -- check it out here! There is a $15 minimum, so I would suggest getting two quarts of ice cream just so you can doublecheck that it's worth it. The new Lolly's will be located at 414 17th Street, Virginia Beach, Virginia 23451. **Featured image courtesy of Lolly's Creamery and Soup Shop. Are you looking forward to a new ice cream shop? Have you tried their ice cream yet? Tell us in the comments about your favorite flavor!! Pharrell Williams is having a big music festival in Virginia Beach this summer! Read all about it here.